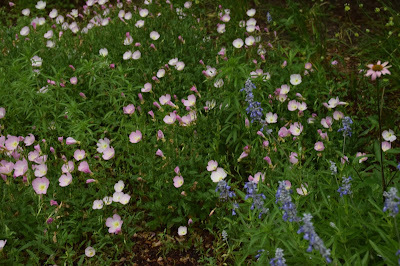 When The Patient Gardener and I announced to our friends in the UK that we were travelling to Austin, Texas to see not only gardens, but wildflowers, we were greeted with reactions that ranged from mystified to downright sceptical. "Do they have gardens in Texas?" people would ask. "Isn't it just desert?" And as for wildflowers: "Is this a joke? Are you winding me up?" they would say. 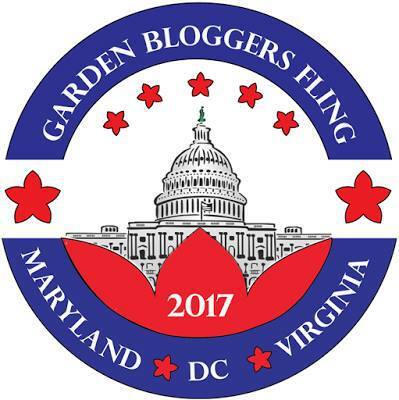 I'm not sure whether these responses are due to Western movie imagery, or just general ignorance about America, but to confound the disbelievers, here are some pictures from my first days on the annual Garden Bloggers Fling. 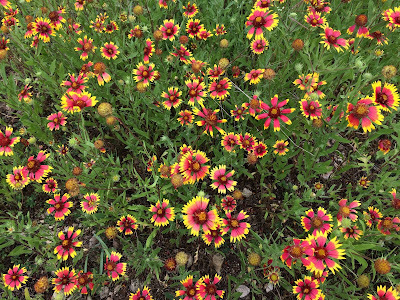 The jolly chaps in this picture are blanket flowers (Gaillardia aristata), and these are growing in the garden of Laura Wills, one of the Austin Fling hosts. Laura very kindly invited those of us who had flown in early (which always means the Brits!) to brunch at her house, which is an urban farm. 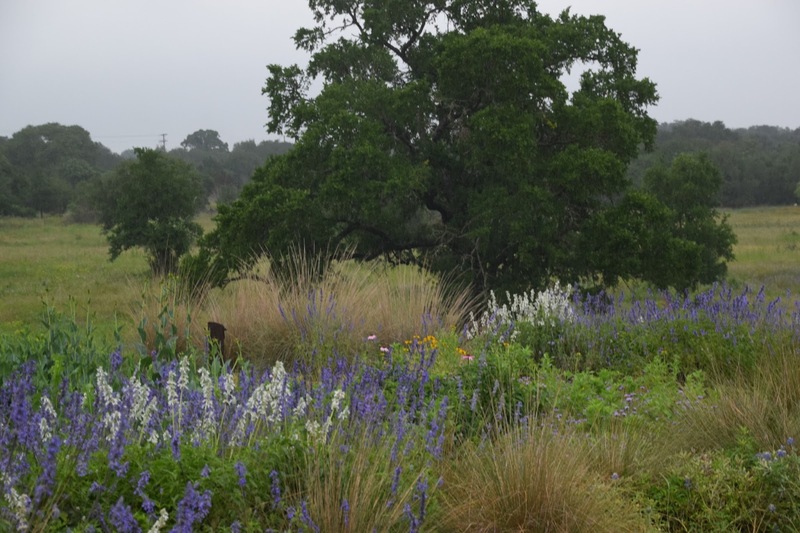 The first day of the Fling included a visit to the Lady Bird Johnson Wildflower Center, part of the University of Texas at Austin, and the state botanical garden and arboretum. Unfortunately, our visit there coincided with a spectacular thunderstorm, so picture opportunities were somewhat limited. 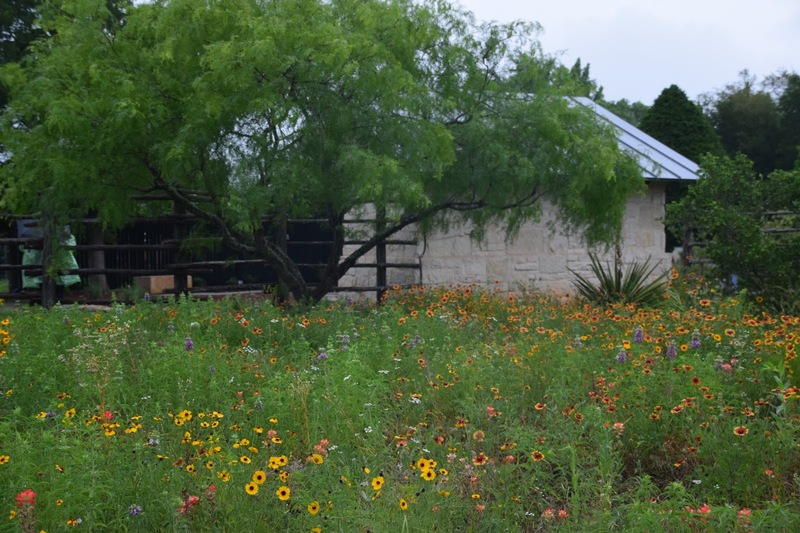 However, these images might give you some idea of what an amazing place this is, and how gorgeous the Texas wildflowers are. I should point out that you don't have to go to the Wildflower Center to see flowers like this - you will see them growing by the roadside, and even down the central reservations. 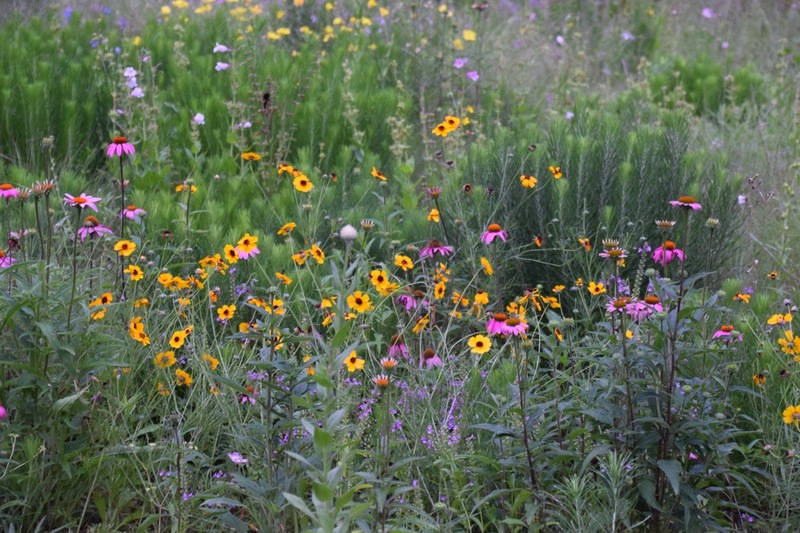 Love seeing the wildflower center through your lens! I was very surprised (pleasantly!) to see so many wildflowers by the roadside. More than we would see in California! 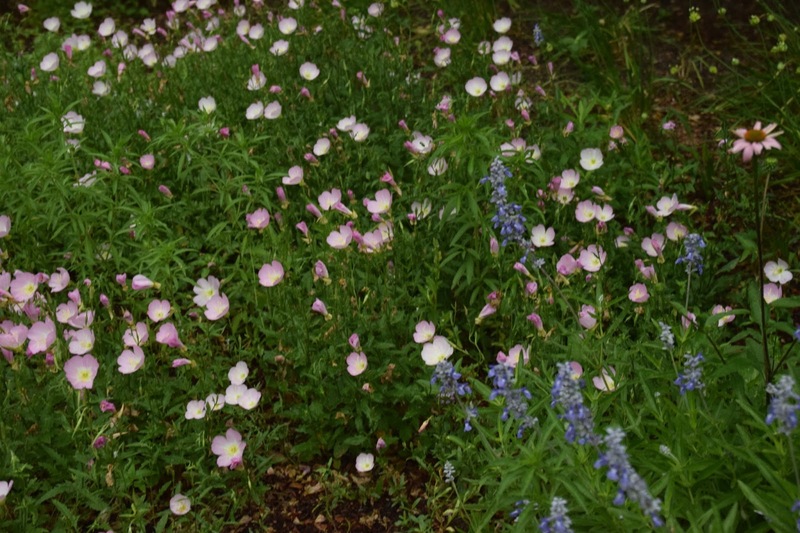 And here we thought our Texas wildflowers were world famous! I'm glad we had a good showing for you, despite it being past prime for our most beloved wildflower, the Texas bluebonnet. It was lovely to see you again, Victoria. Lovely images of the wildflowers. That's what I like best about living in Central Texas. The months of April and May are terrific for the displays of wildflowers that are pretty much found everywhere. What a fantastic fling - it was wonderful to once again spend time with you, Victoria. The Wildflower Center was lovely, wasn't it. I must say that, while I didn't expect desert, Texas was certainly much "greener" than I had anticipated. I was so sad to learn about this gathering the day of because of a hashtag on Twitter. 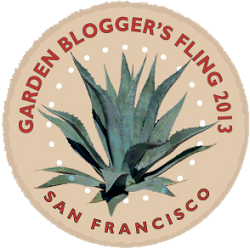 But hoping to attend next year. I love your photos especially the Lady Bird Johnson wildflower center. This is probably the first in a LONG series of rants. 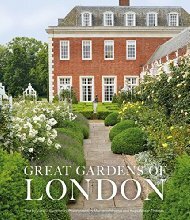 To keep them under control, I shall confine them, dear readers, to gardening issues. I went to a local branch of Wyevale Garden Centres yesterday, to buy some New Horizon peat-free compost. I'm not a huge fan of Wyevale because I think their plants are overpriced, but they do sell New Horizon, so that lures me in. I was not surprised to find they were having a sale - most garden centres have some sort of price-cutting event towards the end of the summer. What did surprise me was the "SALE" sign above the larger alpine pots, stating that they were £4 each, or £10 for three. Wyevale ALWAYS sell their alpines like this (the smaller ones cost something like £2.50, and you can buy five for £10.) What made this a "SALE"? 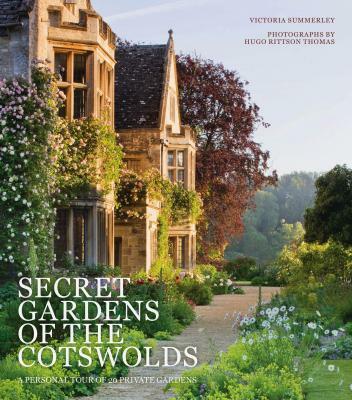 My gardens (my old garden in London and the new one in the Cotswolds) have been featured on two television programmes, and I'm always intrigued by what the director wants to show, and what they don't show. 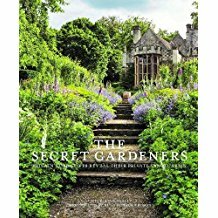 Unfortunately, the BBC Gardeners' World episode is no longer available, but it featured garden designer and television presenter Joe Swift, talking about exotic, or sub-tropical gardens. Filming was great fun, partly because Joe (seen here in my London garden with the BBC film crew) is very friendly and funny. The latest programme, MDR Garten, which is like a German version of the BBC's Gardeners' World, hardly showed anything of my garden in the Cotswolds, precisely because they had used long lingering shots of the Oxford gardens, and wanted something a bit more hands-on and active by the time they came to me. So there are lots of shots of me supposedly planting and/or weeding, or pottering around with the dog.